(TibetanReview.net, Apr10, 2017) – The Dalai Lama announced Apr 8 that he will organise a conference before the end of this year to discuss the issue of his reincarnation or, rather, the next Dalai Lama, said the exile Tibetan administration at Dharamshala, India, on its Tibet.net website Apr 8. It said the exiled spiritual leader of Tibet made the announcement at a press conference after the first day of his religious teachings at the Yiga Choeling ground of Tawang Monastery in Arunachal Pradesh. 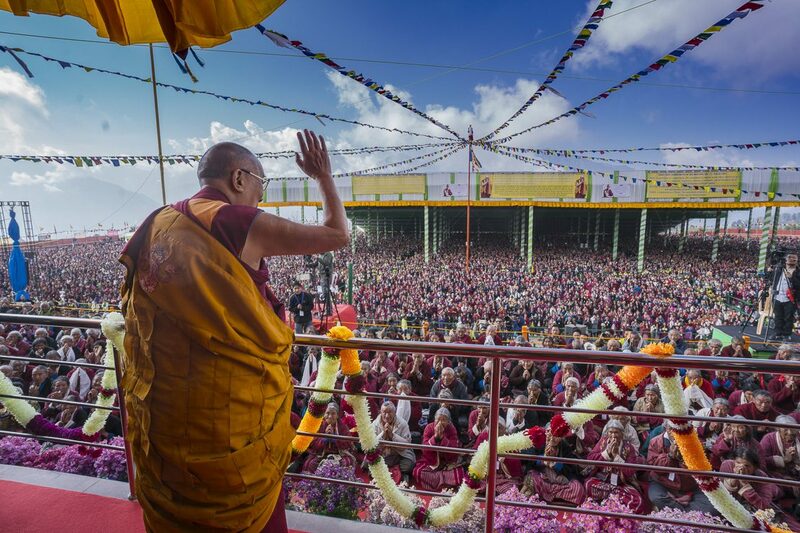 Asked about the issue of his successor, the Dalai Lama has reiterated that whether the institution should remain or not should be determined by the Tibetan Public. Referring to the current Chinese leadership’s claim of right of say over the issue on ground of history, the Dalai Lama has explained that the involvement of the Qing emperors of China in the selection process of the Dalai Lama was somewhat legitimate because they were Buddhists and also due to the priest-patron relationship that existent between Tibet and China at that point of time. On the other hand, he has said, the current Chinese regime had no role in the choosing of the next Dalai Lama, firstly because they were communist and secondly because they were not believers in religion. “Beijing’s bid to name my successor to undermine the Tibetans’ cause is nonsense,” asianage.com Apr 9 quoted him as saying. “To participate in the reincarnation process of the next Dalai Lama, they should first express a strong belief in religion and then have faith in the concept of rebirth. They should then search for the reincarnation of Mao, Deng Xiaoping, and then finally the Dalai Lama,” he was quoted as saying. “If the majority of Tibetans feel that the Dalai Lama institution is no longer needed, then the institution should be discontinued,” he has explained. China has made it clear that there must be a reincarnation of the present Dalai Lama and that it alone will determine who that person will be. On the other hand, the very basis of the reincarnation system is that the concerned person determines whether he will reincarnate or not and if “yes” give directions and indications as to where his reincarnation should be looked for. The Dalai Lama has also accused the Chinese leaders of misleading the Chinese people on the spiritual nature of his ongoing visit to Arunachal Pradesh by calling it a political move. “I wish one Chinese official would accompany me while I’m visiting here, (and see) what I’m doing, what I’m saying. They should know the reality,” thenews.com.pk Apr 9 quoted him as saying. A crowd estimated to range from at least 20,000 to as much as over 50,000 people are attending the Dalai Lama’s three-day teachings.